A couple of fun facts about Reformation: 1) The best days to shop the site are Monday and Thursday afternoons. 2) The celeb-approved brand is known for creating pieces that sell out really quick and often accumulate a waiting list. 3) The Ref team is all about second chances. They listen to their shoppers and re-create those covetable styles (ahem, the Avalon Bodysuit). The brand’s latest item with an ongoing waiting list? 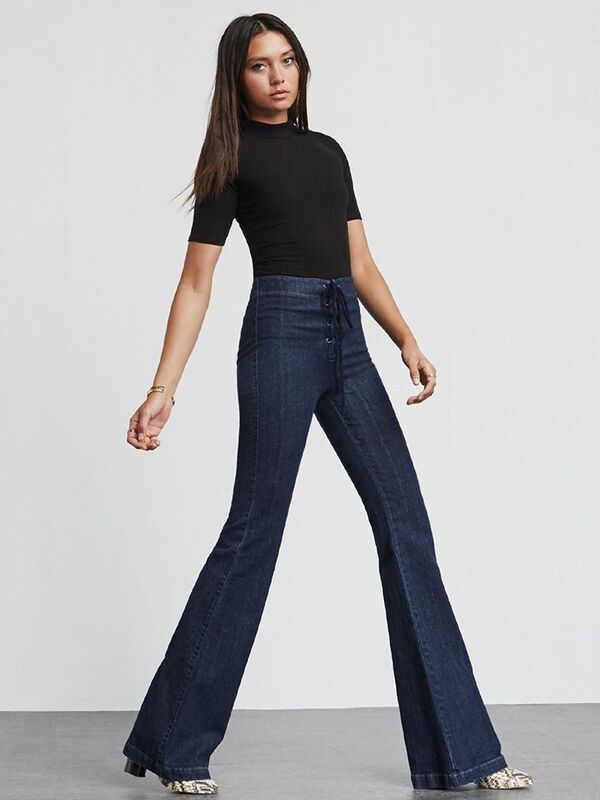 These amazing lace-up jeans—and the flattering pants just debuted on Reformation’s site late yesterday afternoon. Check them out below! Scroll down to meet the jeans everyone wants and to shop our picks from the brand’s new arrivals section. Are you on the waiting list? We are! We also have our eye on the Dimmick Bodysuit. Do you have a favorite item from today’s roundup? Let us know in the comments below!